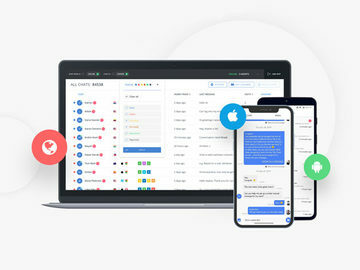 When it isn't busy making powerful Windows phones and Surface clones for businesses, HP makes the occasional product that can be an attractive choice for consumers. 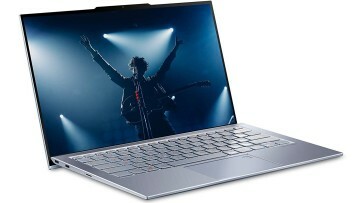 Today, the company has announced its new Spectre laptop, which is a 13-incher (running Windows 10) that is an obvious response to Apple's Macbook in terms of design, with internals that rival those of the 13-inch MacBook Pro (Retina). As you can see from the image and video above, a lot of effort went into the design esthetic, with HP going for carbon-fiber-reinforced polymer and machined aluminum with a mix of matte, dark grey coating and glossy copper accents. 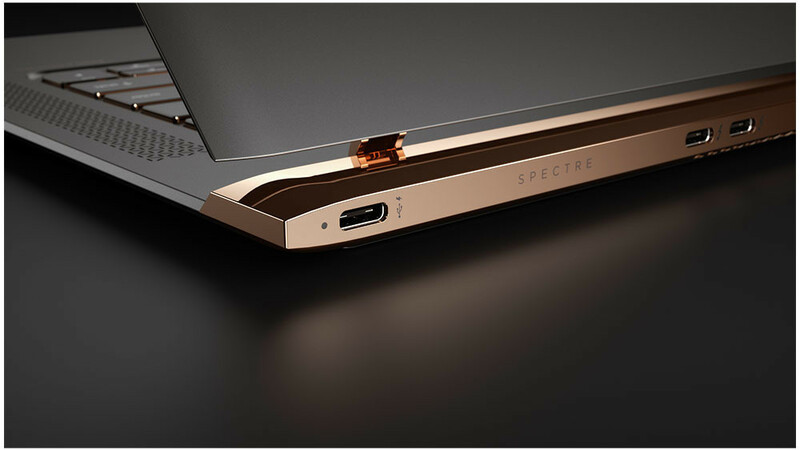 In addition to looking more like a piece of jewelry rather than a PC, the company claims the new Spectre is the thinnest laptop yet, and sure enough it is only 10.4 mm thick - or just about as thick as a AAA battery. 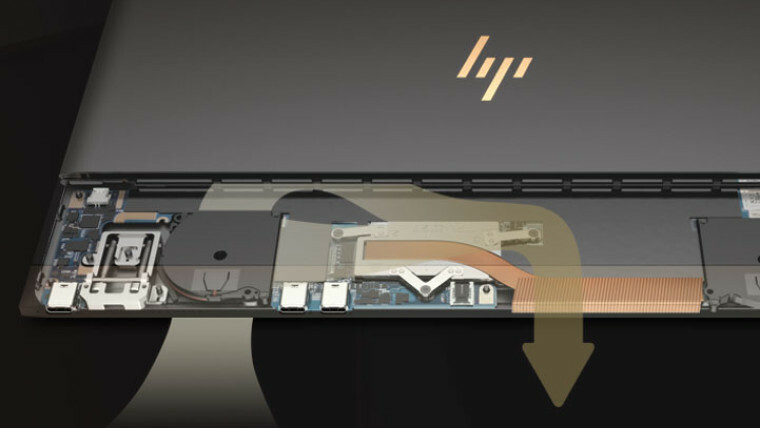 The HP Spectre is the thinnest notebook in the world, and unlike the majority of other super thin PCs on the market, this laptop doesn't compromise power or features." 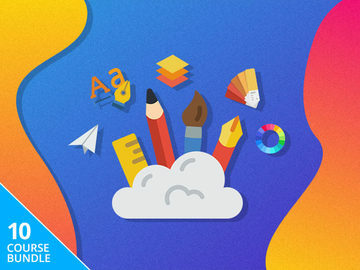 This is an obvious jab at products such as Apple's Macbook and Asus's ZenBook UX305, as both companies boasted about their thinness but forgot to mention that they're quite underpowered due to their use of Intel's lowly Core M processors. 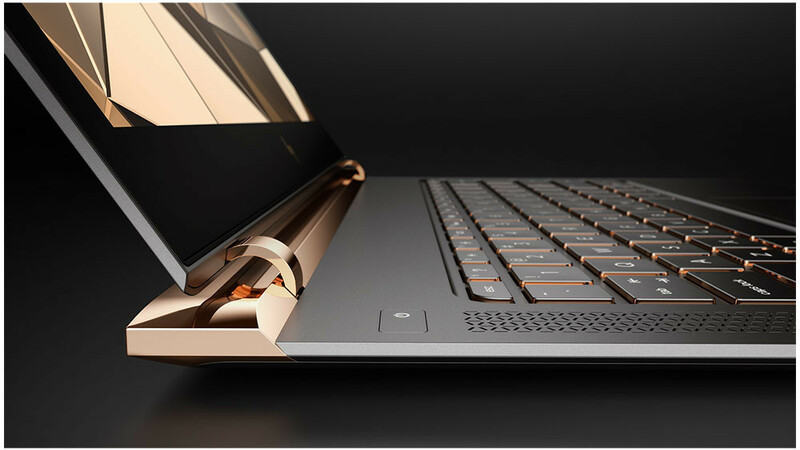 The HP Spectre features powerful internals, from a choice of "proper" Skylake Core i5-6200U or Core i7-6500U CPUs, and up to a decent 8GB of RAM and 512GB of PCIe SSD storage for the top configuration. While these are definitely good specs, the fact that it only comes with a 13.3-inch Full HD, non-touch IPS display will probably disappoint some people, although it's worth noting that it is bonded with 0.4 mm of Gorilla Glass. In terms of cooling, HP didn't implement a traditional system that pushes hot air out directly, and instead designed it to pull cold air in at all times, relying on positive pressure for venting the hot air. 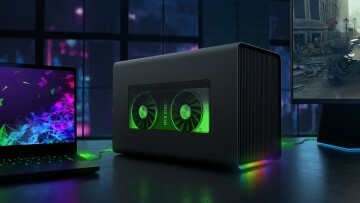 The company calls it "hyperbaric cooling", and says that it's the best solution they've found for preventing the CPU from thermal throttling. 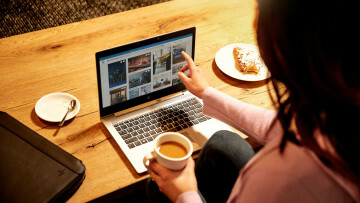 The Spectre features a backlit keyboard and a glass trackpad, and HP is boasting about the dual speakers, promising that they're custom-tuned in collaboration with experts at Bang & Olufsen so that you can enjoy great sound even without your headphones. In terms of connectivity, HP shows that it is not a big believer in Apple's vision of a future with just one port for everything, as the Spectre comes equipped with three USB Type-C ports on the back, and all of them can be used to charge the device, however only two of them support Thunderbolt 3 - which is good news if you plan on using 4K external monitors. If you're wondering about battery life, HP says you should be able to squeeze up to nine and a half hours of usage, and at 2.45 pounds (1.11 kg), the Spectre is a pretty lightweight device. 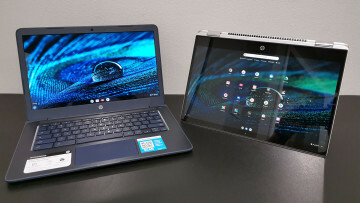 The base model (Core i5, 8GB of RAM, 256GB SSD) will run you $1169 and will be available from HP's store starting April 25, as well as at Best Buy around May 22, although prices there will start at $1249, so keep that in mind.